Wrongful dismissal by an employer i.e. without giving the employee proper notice, following dismissal procedures or because of any discriminatory reason. 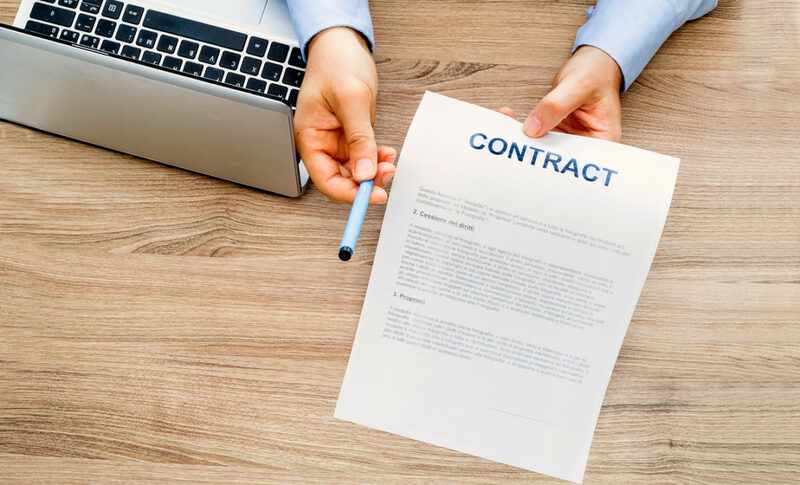 Changes to the terms and conditions of an employee contract without agreement if the contract does not allow employers to make amendments without consulting the employee. Your employer consistently not paying you on the specified date or period of time stated within your contract. Docking your wages for a reason that is not outlined in your contact e.g. if you are late by thirty minutes and they dock you a full hours pay. Non-payment during your notice period which is the period between handing in your notice and leaving your job. In the unfortunate circumstance that you feel you have been unfairly treated by your employer and that they are in breach of contract then you are well within your rights to take action, therefore, it is important to know what to do if your employer breaches your contract. First of all, it is of vital importance to check the terms of your contract. When you began your employment you will have been given a copy of your employment contract. If you have misplaced it, then you can ask your employer to see a copy of it. Often, companies protect themselves by weaving small print into contacts and it is sometimes the employee that suffers if they are simply not aware of their contractual rights. Therefore, it is important to fully digest all the information as outlined in your contract and make sure you are prepared with the proper knowledge and insight needed to take action. Always try to rectify the situation face-to-face with your employer in the first instance. If both parties feel it necessary, you can also go through mediation using an advisory agency to try and come to an agreeable solution. If you are a member of a trade union, you may be able to seek advice from them before deciding to take the matter further by seeking legal action. Some trade unions offer a legal advice service for their members so it is always worth consulting them beforehand. If trying to rectify the situation with your employer, either by talking to them or via mediation fails, then you can consult a commercial litigation solicitor Manchester. Always think very carefully before seeking legal advice against your employer and make sure you are positive it is the route you want to take before making a decision. Legal action can be very costly and only in certain circumstances, such as loss of earnings through non-payment of wages, holiday or sick pay, will you be entitled to compensation.